- 58 EFOY Pro fuel cells will ensure uninterrupted, reliable power supply to surveillance systems. - In hybrid operation with solar panels the fuel cells ensure 100 percent system uptime and extremely long system autonomy. - Hybrid system will be installed by French system integrator 4G Technology. - Additional demand for further installations expected in 2016. SFC Energy, a leading provider of hybrid power solutions to the stationary and mobile power generation markets, announces receipt of an order by its French distributor, autonomous energy expert AG Systems, Chatillon la Borde, for the delivery of 58 EFOY Pro fuel cells. The EFOY Pro fuel cells will be installed by French system integrator 4G Technology, Mouans Sartoux, to reliably power surveillance systems of the French Ministry of Defense. The French Ministry of Defense uses video surveillance systems for increased site and public area security. Many of their surveillance systems are operated away from the power grid. To ensure 100 percent availability of the systems, reliable off-grid power must be ensured at all times. Solar systems alone cannot ensure 24/7 power availability, because of their dependency upon sunlight. Therefore 4G Technology uses a hybrid approach: In fair weather the solar modules will power the surveillance systems. Only in foul weather or in winter, when the solar module cannot supply enough power, the fuel cell will automatically pick up operation and fill the power gap to ensure 100 percent system uptime in any season and weather. 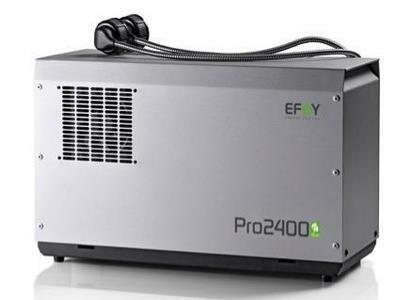 Operation of the EFOY Pro fuel cell is fully automatic, silent, and with almost zero emission, making this environmentally friendly power generator nearly undetectable. "Site surveillance and public security are becoming even more important", says Dr. Peter Podesser, CEO of SFC Energy. "When the location is away from the grid, our EFOY Pro fuel cell is the perfect source of energy - as reliable as the grid itself. For more than 12 years - in a multitude of security and surveillance scenarios and in the most difficult climate and environmental conditions - our fuel cells have more than proven their value. They are easy and fast to install and to put in operation, they feature maximum flexibility and reliability, they can be hybridized with any other alternative power generator, and they are environmentally friendly. Over 34,000 fuel cells sold clearly prove the benefits and proven reliability of our technology to the customer." "We wanted the best of two worlds for absolutely reliable power", says Eric Girat, CEO of 4G Technology. "Hybridizing solar modules and fuel cells is the perfect combination. 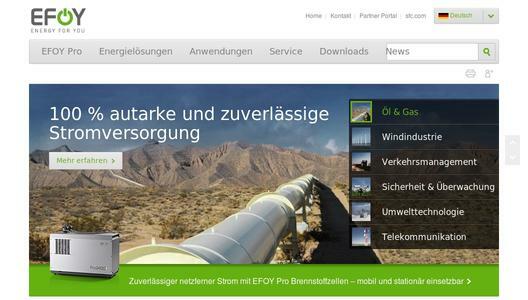 The support of SFC Energy's French distributer AG Systems to our integration project was excellent. 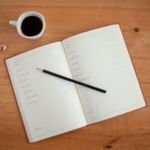 We see great potential for this product in the French security and surveillance markets and plan further projects this year." Additional information on the EFOY Pro fuel cell and on SFC Energy's off grid power portfolio for security & safety, oil & gas, wind, traffic management, environmental and telecommunications applications at www.efoy-pro.com and at www.sfc.com. More information on AG Systems at www.agsystems.fr, and on 4G Technology at www.4g-technology.fr.